Dr. Thomas Kinsella has always felt passionate about athletics. He’s been involved in sports as a swimmer, triathlete and CrossFit member he understands how it feels to be injured and the importance of preventative care. 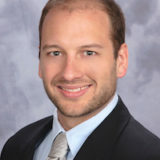 Dr. Kinsella also worked as a Health and Physical Education teacher in Aurora before becoming a Chiropractic Physician. Dr. Kinsella started clinical practice in 2013. His expertise in human anatomy, kinesiology and sports medicine helps him improve the lives of his patients.